People are keen on free stuff, that’s a well-known asset. The value of freebies is huge: they can increase sales as well as website traffic, boost the number of fans and subscribers plus they generate hype for future campaigns. Take the NameCheap Twitter giveaway as an example: they gave a coupon for 1 year domain registration and gained in exchange a growth in followers from 200 to 4000, just the first month. Now that we are past the idyllic part, let’s face a harsh truth: “With anything you do in life, expect to have a 25% success rate”, said Auren Hoffman, CEO of RapLeaf. It’s not uncommon to have very little ROI from a giveaway you invested time and money in, and this is just plain bad. Eliminate the following ten saboteurs and you will be able to breathe easy about your giveaways. Cookie cutter giveaway items. One general drawback of giveaways is they undermine targeted marketing actions. Honey attracts many ants, and most people are inclined to “take it because it’s free”. It’s difficult then to filter across results and delimitate the ideal prospects from this mass of people. To minimize this risk, use custom items that are relevant only to a specific niche. For example, instead of giving an iPhone, give coupons for a targeted iPhone app. Wrong product to be given away. There’s a very thin line between right and wrong here. Typically, you give away one item in order to highlight the entire product line or to increase visibility and need for complimentary goods (things that work together with the item to be given away). In the case of online services, which are not so chained to each other, there’s a good chance that people won’t go for your other products, but they resume to the one given away. It’s best to choose an item that’s top notch but not the most expensive in your offer. Unawareness of the cost and time spend on your side. 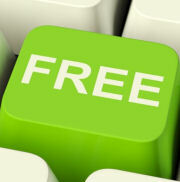 Watch out for additional fees for you that can offset the giving away of a free item. It often happens that you have to spend time installing the item for your clients or if it generates costs with consumables. Determine as precisely as you can just how long and how much it would take for the loss to be balanced out and start to generate profit on your side. Lack of a clear strategy. This is a capital sin for any marketing activity. When initiating a giveaway, start off with research to find the best possible channels to publish and disseminate it. Set up a clear timeline for your giveaway and specify the duration of the contest, for people to be aware they have limited time to enter. Do follow up after the giveaway has ended and make sure everyone has gained use of their prize. Vague calls-to-action. The core point of marketing your giveaway is a CTA that stands out. Make it clear which are the conditions to enter and use text and buttons to create the urge to join. Bad appearance of your landing page. If you promote an online service or e-commerce platform, not customizing your page’s appearance can be a costly mistake. Think the winners are already excited with their prize and won’t pay too much attention to the setting? Actually they pretty much do. If you want to win them over as loyal customers better put a nice interface that’s UX optimized and avoid using lame template homepages. Losing sight of your long-term goals. Apart from gaining additional customers, your aim should definitely be to add marketing value to your products and overall brand. Increase awareness with post-contest calls-to-action and feedback surveys. Also, it’s no sin to ask for insights on your product in exchange for the prize. For example, don’t choose winners randomly, but call participants to leave an useful comment on how they would use your product, which will help your further market research. Not reading the rules and legal notices of the platforms you are running the giveaway on. Facebook has restrictions over the actions you may request from users, as you can see here. You cannot have people like a Wall post, comment upon a post or upload things on a Wall. The worst thing that can happen if you violate these rules is suspension of your account. Relying solely on the publisher of your giveaway to promote it (if you carry it on third party sites). Build a contact list and drop them a note about your giveaway. Be careful not to upset existing users when they would see you offer your product at a lower price they bought it with – you can offer them a free upgrade instead. Send e-mails and follow-ups announcing the course of your giveaway to give it the aura of a real life event, which it is. A giveaway that never ends. Making the giveaway too long in time span or giving too many items is a huge turnoff. People are attracted to what’s rare and limited edition, so make sure you don’t devalue your own special offer by making it ordinary. And one more advice before you go: test, test and test again. Just like any other marketing action, experience is the key to success. You can always tweak some more, so good luck!